The Dickson-Murst Farm Partners are a volunteer group of The Conservation Foundation who lovingly maintain the farm buildings at the Dickson-Murst Farm. The farm is home to the Foundation's program office, and also holds events to educate the public about what life is like on a farm. discuss necessary repairs, organize work days, plan events, and spend time with others who share their passion for historic farm buildings and the lifestyle they represent. 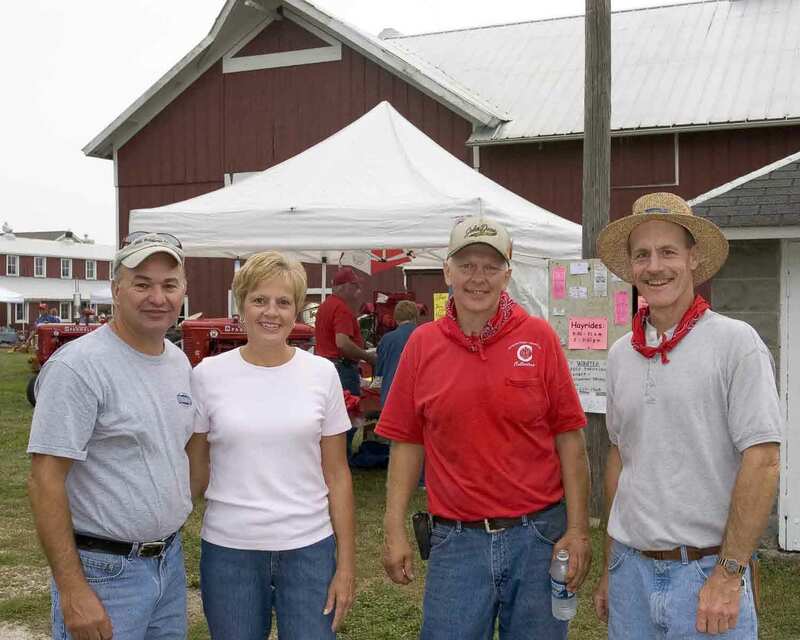 For the past several years, they have organized and held wildly successful events like Spring at the Farm, Day at the Farm, and the Bluegrass Jam. 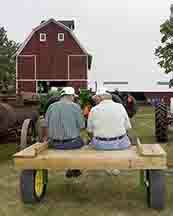 They have also supervised the moving of an authentic Aeromotor windmill, privy and hog shed to the site. The latter two were original to the farm and have been across the road at the home of Shorty Dickson, who was born and raised at the Dickson-Murst Farm. The Dickson-Murst Farm Partners welcome anyone with a love of old buildings, a sense of humor and a penchant for honest hard work to join them. Please contact Merrie at 630-272-0686 if you are interested in volunteering.